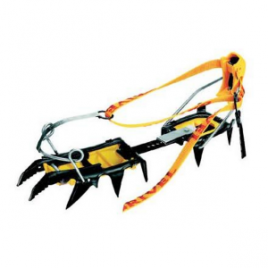 Crampons only work when they’re attached to your feet. 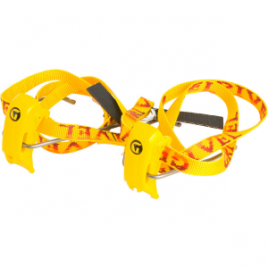 Grab the Grivel G10/AT/G12/G14 Heel Lever X2 for your favorite Grivel crampons and make sure your heel doesn’t get a mind of its own during your crux pull. 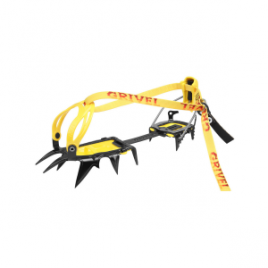 Alpine climbers and mountaineers count on the versatile Grivel G12 Crampons to take on any terrain they encounter in the mountains. The G12’s time-proven design is an excellent choice for everything but the steepest pitches of ice. 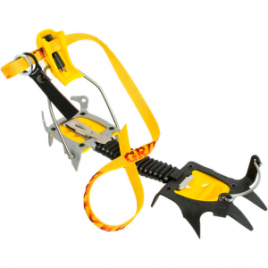 Replace your worn crampons with Grivel’s G12 Crampon Front Spare Parts. 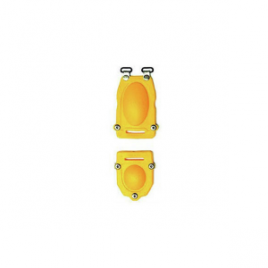 Dull toes are no-one’s friend up on the ice–replace your worn front points with the G12 Front Spare Parts and say hello to your new best friend. 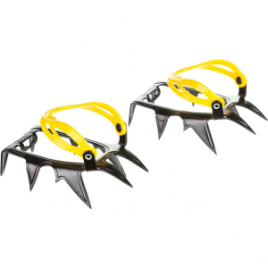 Tired of kicking ice with dull nubbins’ Give your Grivel G14 crampons some love with the G14 Forged Front Points X4. 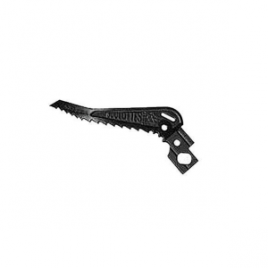 The same reliable steel construction that came with the original design provides continuity and reliability, just what you need when tackling that frozen waterfall. 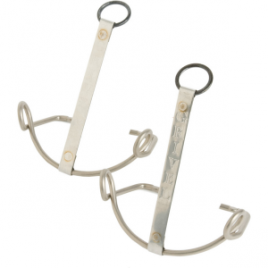 Don’t worry about ditching otherwise-worthy crampons. 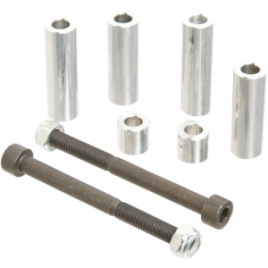 The Grivel G14 Set Alu Spacers and Bolts make replacing busted or dated parts a breeze, so you can get back to the glacier. 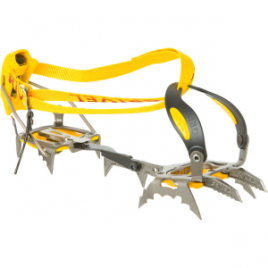 The Grivel G20 Crampons use a minimal yet aggressive design to give you an edge on steep ice and mixed terrain. The third points point backward to help you hook pillars and keep you locked in on overhanging rock. Grivel went with a full step-in design for speed and security. 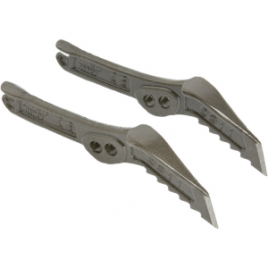 The Grivel Goulottes is a beefy pick for alpine climbing where a broken pick could spell disaster. The pick angle matches the curve of the Light Wing, Alp Wing or older Grivel tools such as the Original Super Courmayeur, 90 Degree, Rambo (II) and Geronimo. With a bombproof, touring-boot-compatible design, the lightweight Grivel Haute Route Ski Matic Crampon lets intrepid ski mountaineers access high alpine terrain from the Sierras to the Alps. 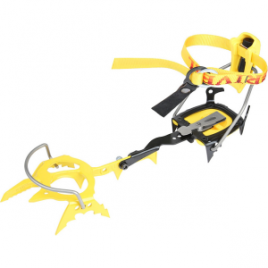 This 10-point crampon takes over when the ski track peters out and steep snow and ice are the task at hand.